Ms Maricon Basco-Ebron, tourism director and attaché at the Embassy of the Philippines in Korea. The Department of Tourism (DOT) is setting the stage for the 2nd Philippine-Korea Travel Exchange (PHILKOTEX) on March 13, 2008 at the Sofitel Philippine Plaza Manila. PHILKOTEX brings in over 70 pre-screened Korean tour operators to meet with their Philippine counterparts and other tourism-related establishments. "The Korean delegation will further be provided with arranged tours around the country, including Banaue, Pangasinan, Clark, Bicol, Bohol, Davao, Dumaguete, Sumilon, Cebu, Palawan, Subic and Puning," Ms Maricon Basco-Ebron, tourism director and attaché at the Embassy of the Philippines in Korea told reporters on March 9 shortly before her departure for Manila. On behalf of Honorable Secretary Joseph Ace Durano, she conveyed his warm welcome message to members of a high-powered Korean travel trade delegation and media representatives. In his message, Secretary Durano said:"It is with both pride and pleasure that I welcome our Korean partners to the 2nd Philippine-Korea Travel Exchange thanking Korean travel industry stakeholders for their participation and varying degree of sponsorship in making this travel event a reality." 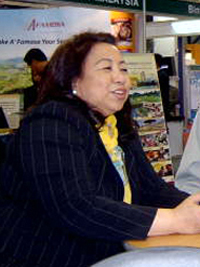 In the meantime, Ms Ebron said that Secretary Durano developed PHILKOTEX to provide Philippine tourism enterprises with a venue to transact with the Korean travel trade pointing out the event would giver Korean sellers the opportunity to experience the Philippines, helping them present the islands better to their clientele. "Part of our goals this year is to encourage repeat visits, especially from Korea and other leading markets. This year's travel exchange will highlight newer packages with a wide array of activities that the Korean travel group has yet to experience," said Ms Ebron. She expects the forthcoming PHILKOTEX to help sustain the momentum gained from last year and further strengthen the Philippines'position as one of the top holiday destinations of choice for the Korean travel market. Korea is currently the Philippines' leading source of tourists. A total of 653,310 visitors from Korea arrived in 2007, providing 20 percent of over-all traveler traffic. Tourism Secretary Ace Durano will join the PHILKOTEX right after returning from Germany where he participated in the Internationale Tourismus-Börse (ITB Berlin), the largest travel fair in the world with members of the Philippine travel trade delegation. The 42nd ITB Berlin took place from March 5 to 9 at the Center ICC in Berlin, Germany. It is reputed to be the biggest event for the international travel industry. Over 11,000 travel wholesalers, resorts, hotels, airlines, cruises, tourism associations, national tourism offices and other tourism-related enterprises representing 180 countries and territories were there on exhibit for business-to-business transactions and to meet with potential tourists. The Department of Tourism of the Philippines was there to help them present the best of the Philippines and to excite the foreign market to the unique experiences awaiting them. Learning is defined as the acquisition and development of memories and behaviors. It is the product of experience and is the end goal of education. The Philippines' ESL Program is basically that— a combination of instruction, sharing, and training that are reflected in listening, speaking, reading, and writing exercises. It is really a tourist activity where the English classes are part of a structured tour package. Education does not stop within the confines of the classroom. Students are thrust into real life situation where they get to visit the Philippines' spectacular tourist spots and interact with the famed Filipino hospitality. Seeing that majority of Filipinos can communicate in English, studying it becomes more exciting and dynamic to truly define what learning is. ESL programs in the Philippines offer quality education at an affordable cost. Prices, however, may vary depending on level, duration, type of instruction (group or one-on-one basis), number of enrollees, tour destinations, and acilities/amenities provided by the school. The duration of programs vary depending on needs, objectives, and desired travel destinations. The more in-depth English courses can be conducted longer with special arrangements with the schools. Also available are review programs for IELTS, TOEFEL, TOEIC, TSE, and TWE. An estimated 120,000 Koreans live in the Philippines, 17% of which are students. English language education is the primary reason Koreans send their children to the Philippines. It is not hard to see why, as the Philippines offers quality, affordable English courses, an English speaking population, a significantly lower cost of living, and a manageable 4-hour flight from Korea. Figures show that as of 2006, Koreans hold the distinction of having the greatest number of foreign business investments and foreign tourist arrivals in the Philippines. "The Philippines' location and manpower makes it one of the best destinations for Korean businesses,'says president of the Korean Chamber of Commerce of the Philippines Jae J. Jang. Of the 2.84 million foreigners that dropped by Philippine shores in 2006, 20% were from Korea. 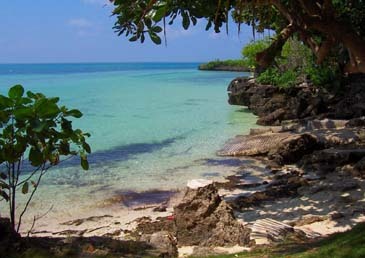 In the extremely famous paradise island of Boracay, 65% percent of visitors were Koreans. ESL Tour Program launched in 2003. According to Department of Tourism Secretary Ace Durano, tourists like coming to the Philippines primarily because of hospitality, then because of the country's natural beauty. Filipinos are likewise charmed by Koreans. Always the passionate soap opera fans, Korean miniseries programs have captured the sensibilities of the Filipinos and their stars have become such familiar faces to the average household. Some local Koreans have also made their mark in Philippine pop culture. Broadcasters Sam Oh and Grace Lee are well-received in their careers as both television hosts and radio disc jockeys. In the National Capital Region, the most well-known Koreatown is in Makati City's Barangay Poblacion. Outside the capital, many Koreans also reside in the more serene provincial cities of Subic, Davao, and Baguio. In the meantime, The Seoul Times will dispatch Joseph Jo, managing editor and Jake Reed, deputy editor and travel writer to Manila to cover the travel trade event on the spot.